A common scene at the Okaloacoochee Slough State Forest. 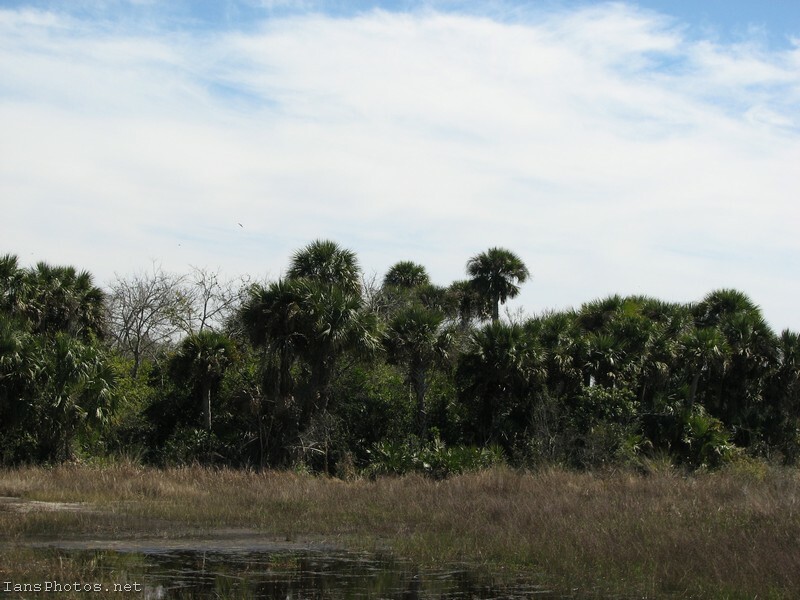 If you visit this forest in Florida you will see plenty of palmettos and cabbage palm trees. I took this shot from the boardwalk at the slough. Be careful, I have encountered a gator at the boardwalk. My wife has also seen a bobcat that ran away. There are several roads and places to park at the Okaloacoochee Slough and $2 per person is suggested for your visit. Some of my favorite things about going there are: the natural beauty of the Florida forest. The peace and quiet. You never know what you’re going to see. I’ve seen rabbits, deer, gators, butterflies, many different kinds of birds, raccoons, armadillos, and there are always countless types of plants and trees with flowers. It’s one of my favorite places to go for taking photos of nature. If you stay on most of the roads it’s wheelchair accessible, some of the paths are okay too but I’d advice not to go alone. Cell phones don’t work too well in the forest. I have been alone but stayed mostly to the main roads being careful not to go anywhere that my wheelchair could get stuck. If you go you can park and follow very accessible and long roads through the forest. If you enjoy photography trust me there will plenty to photograph. I can easily spend the whole day there without ever any chance of boredom. What else could you day at the Okaloacoochee Slough State Forest? Read, meditate, pray, listen, think, enjoy, write, be still. If you have the chance to visit this state forest I hope that you will take the opportunity. Take a break from the noise of everyday things and enjoy the natural beauty of God’s creation at the Okaloacoochee Slough State Forest in Florida. Thank you for visiting my photography site, please feel free to subscribe to my blog to get updates when I post new photos.